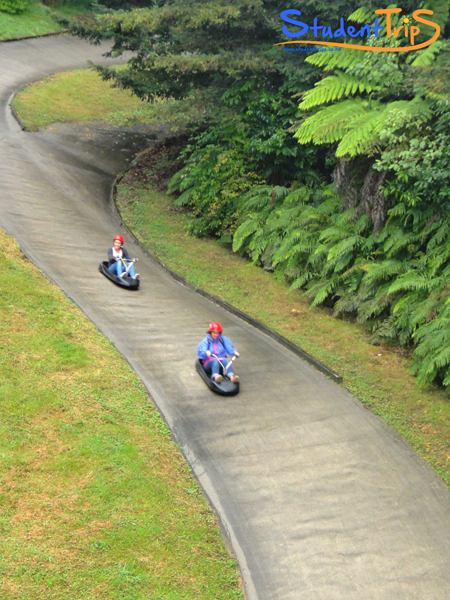 The perfect combination of thrills, fun and relaxation! 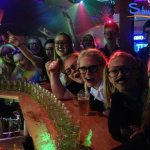 1 night in a shared-room hostel. 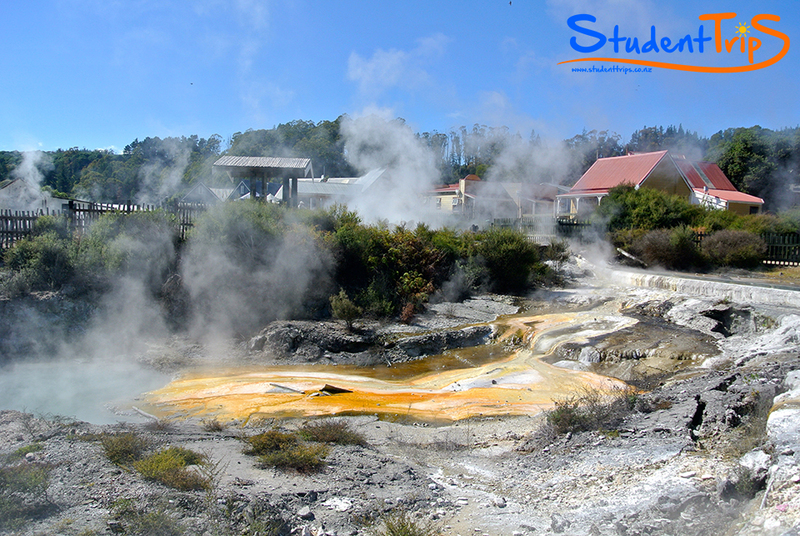 Accommodation has its own hot swimming pool for our use. 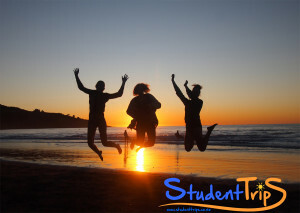 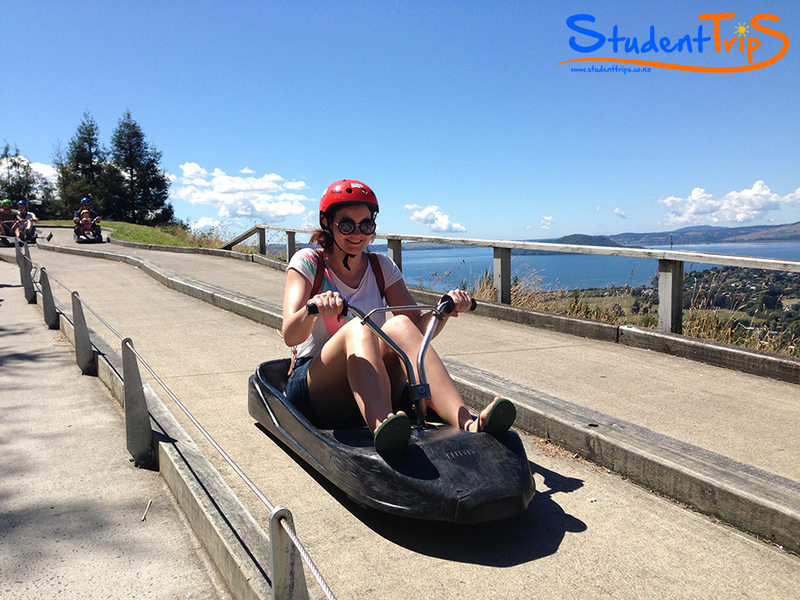 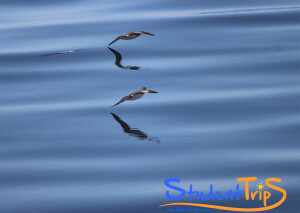 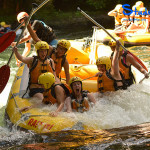 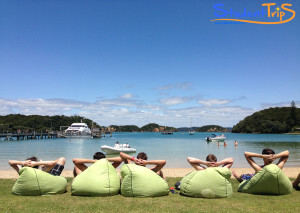 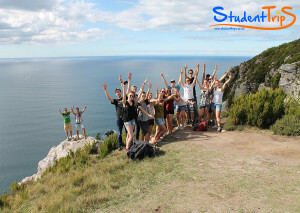 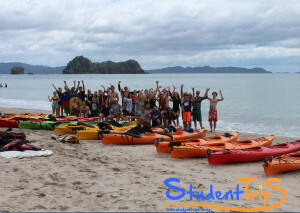 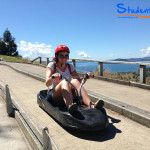 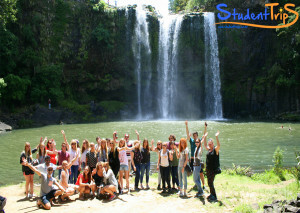 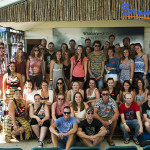 Professional raft, sledging and OGO photos! 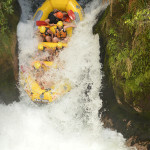 White-water rafting trip from a 7-meter waterfall! 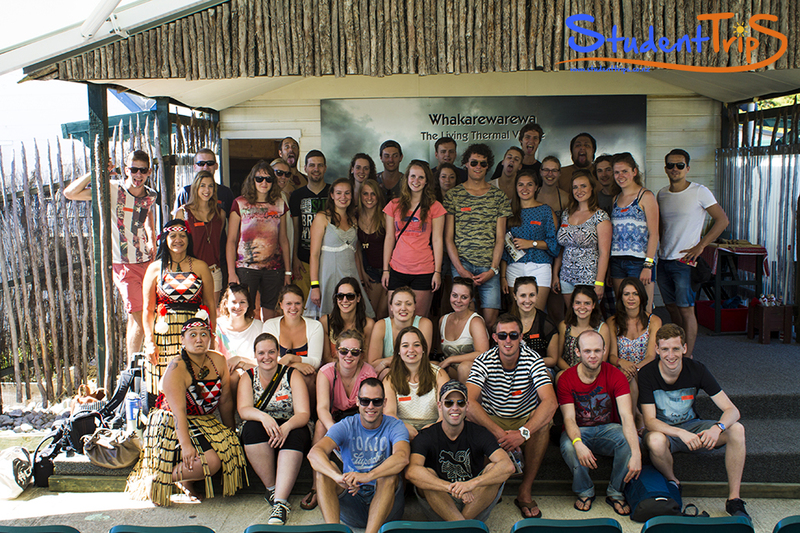 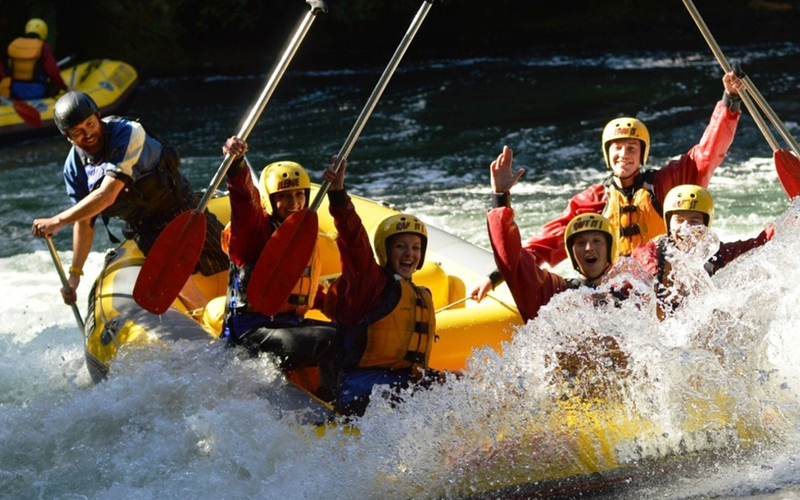 The Rotorua Rafting weekend is perfect for anyone out to get some thrills and adventure. 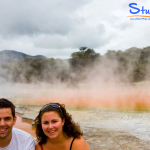 Rotorua is the tourism capital of New Zealand and hosts many of the activities adrenaline-junkies love to do during their stay here. 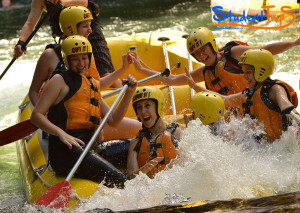 Our trip will be no exception! 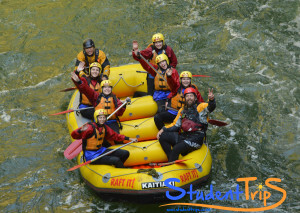 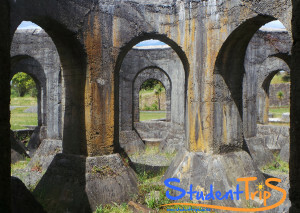 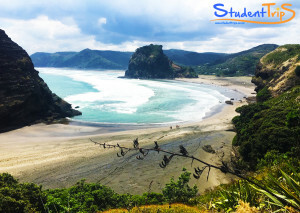 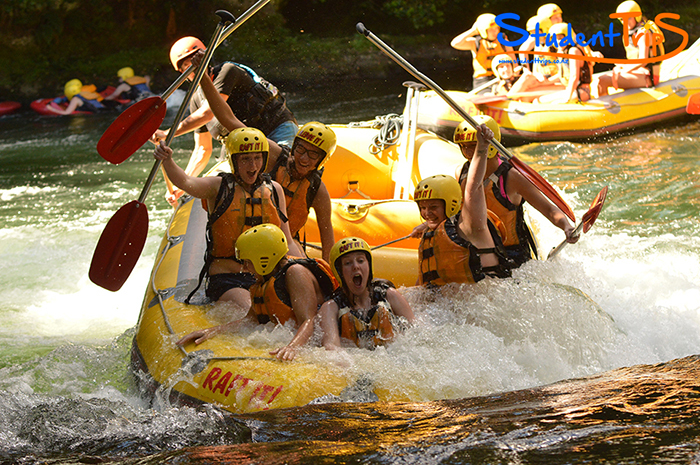 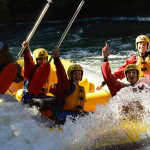 We will begin with the optional white-water rafting down a 7-meter high waterfall, then keep the adrenaline flowing with Luge riding through the beautiful and scenic forests of Rotorua. 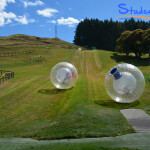 You will also have the opportunity to do OGO the newest invention from New Zealand. 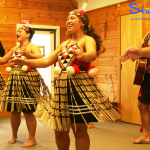 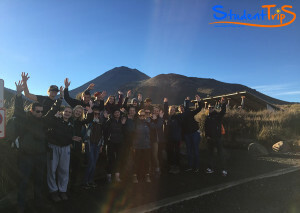 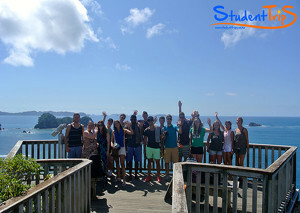 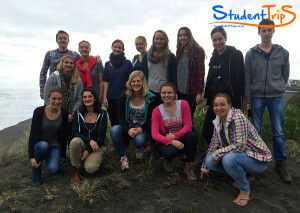 Finally we will have a guided tour of a typical Maori village, learning more about their rich culture heritage and traditional dances. 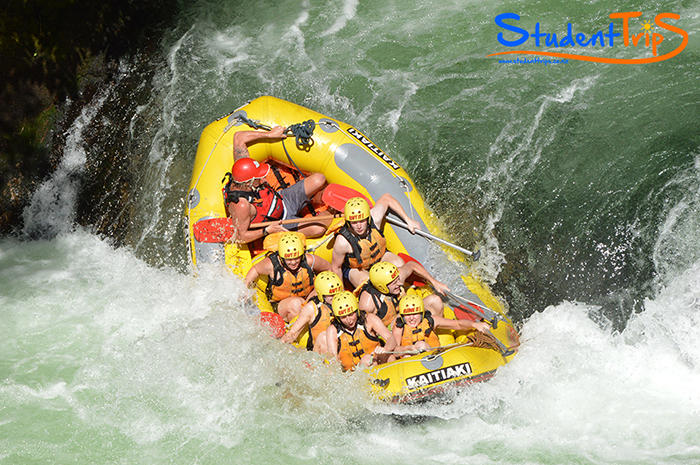 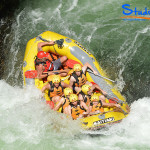 We kick things off by going for the best optional white-water rafting experience in New Zealand. 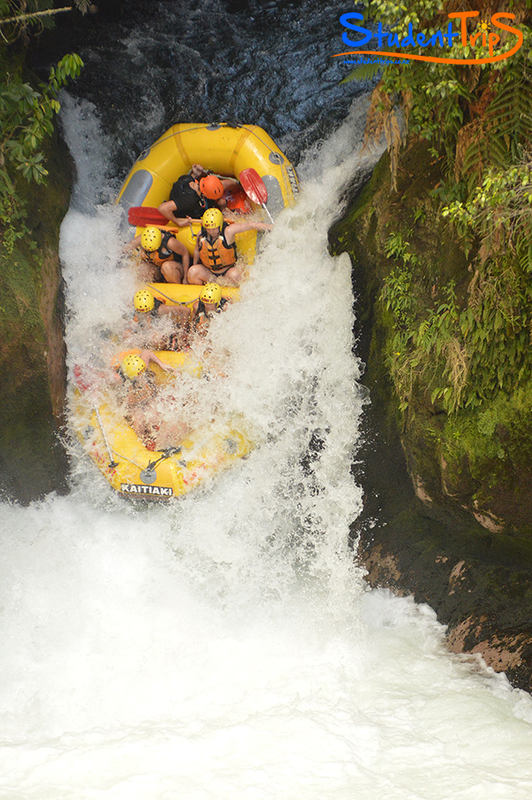 Raft down a raging river before finally launching off the highest commercially rafted waterfall on the planet – a massive drop of seven metres! 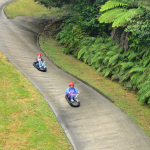 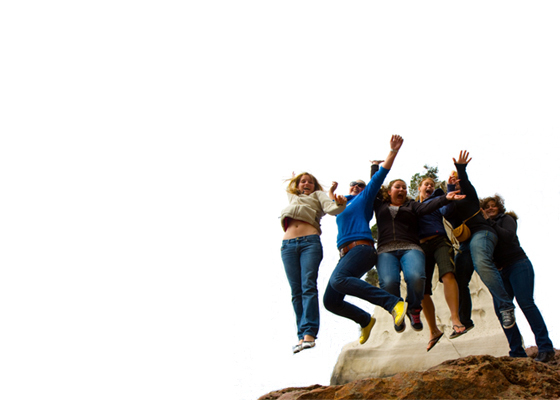 Be sure to put on a brave face though - Professionally-taken photographs will be distributed of your wild ride. 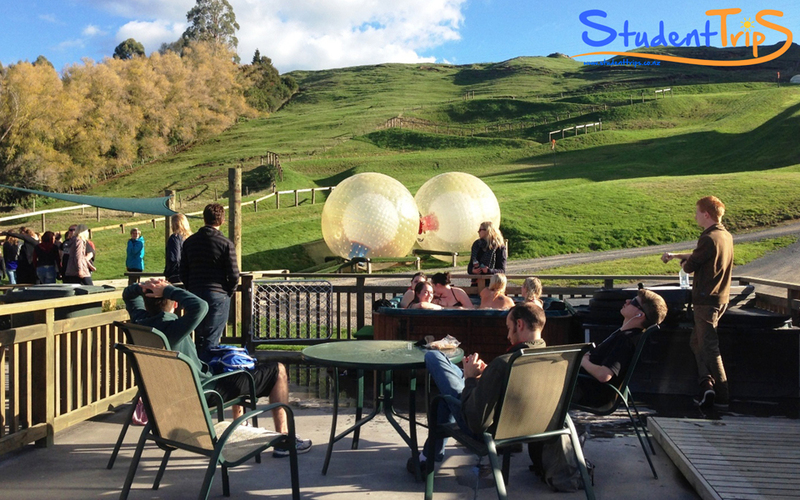 Following the days exhilarating activities you can relax and unwind in our accommodation’s own hot tub. 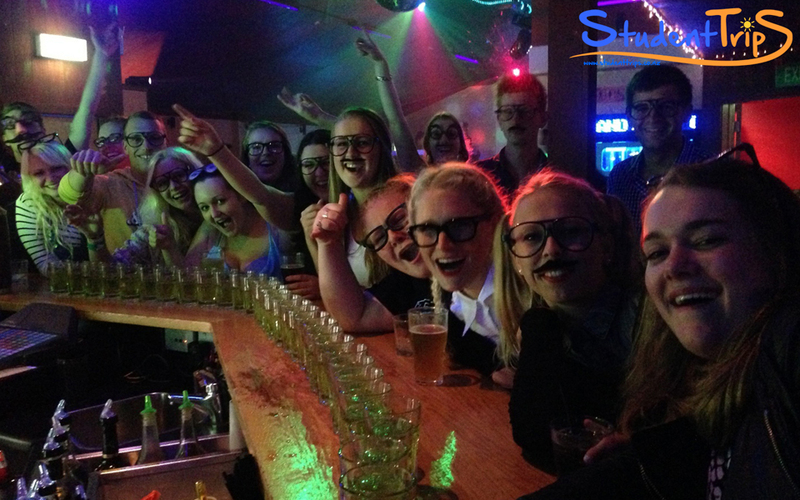 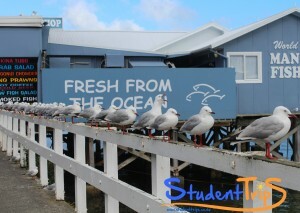 To cap off the night we will later head in to visit the best bar in Rotorua’s town. 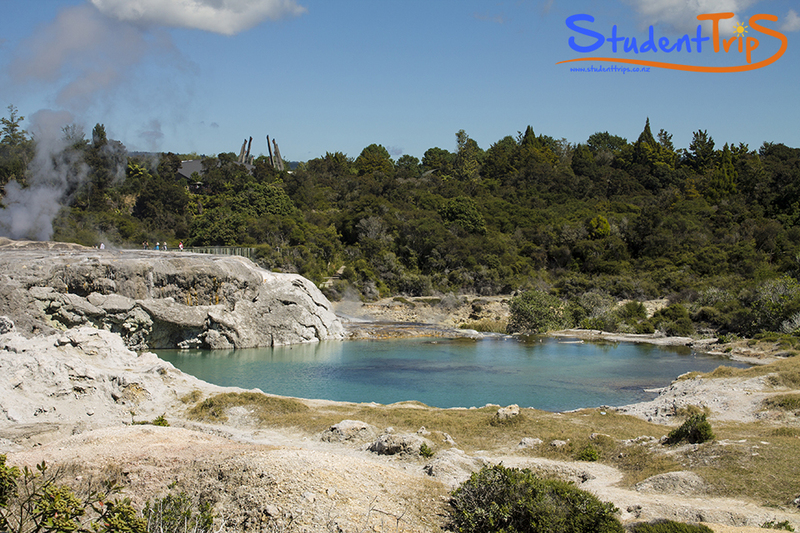 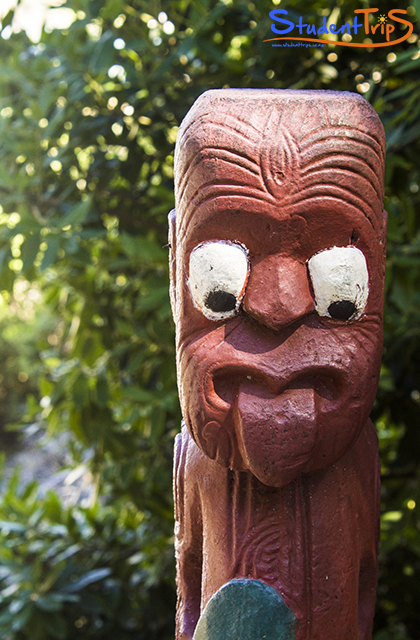 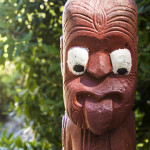 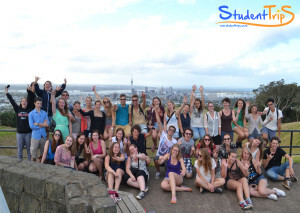 Day two awaits you with a visitation to a historic Maori Geothermal Village. 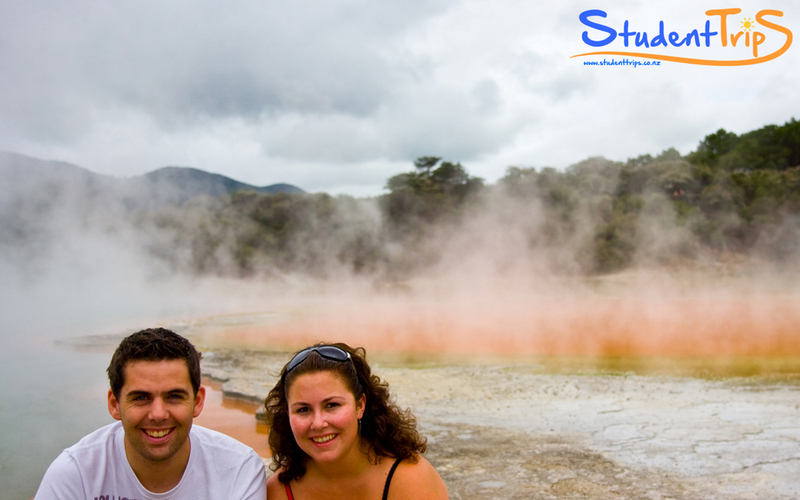 You will receive an official guide through an area full of geysers & mud pools. 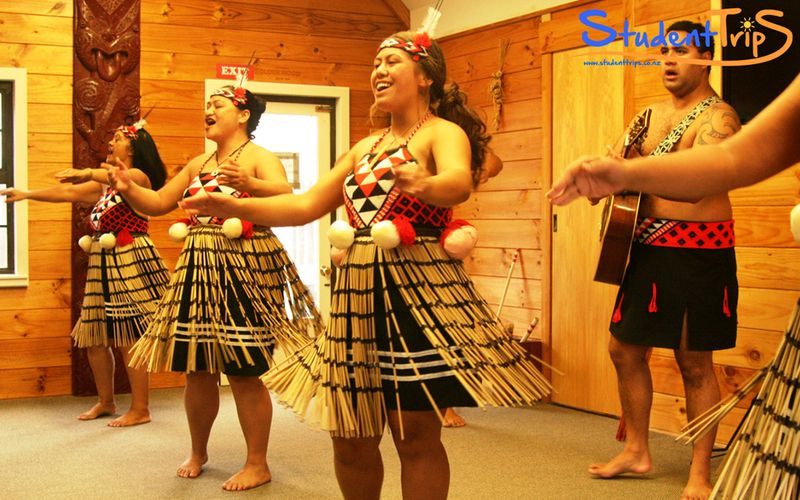 Finally, you will take part in a traditional Maori celebration and have the chance to join one of the Maori dances. 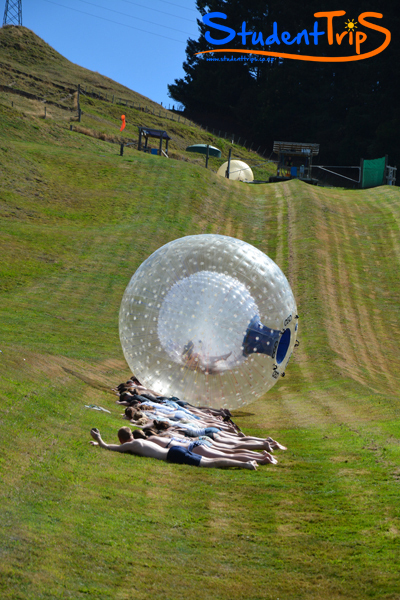 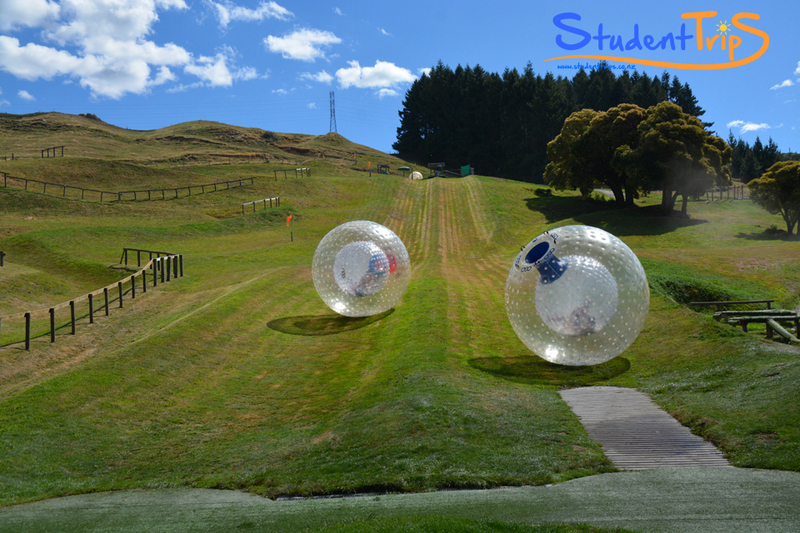 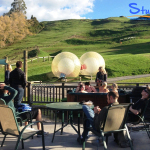 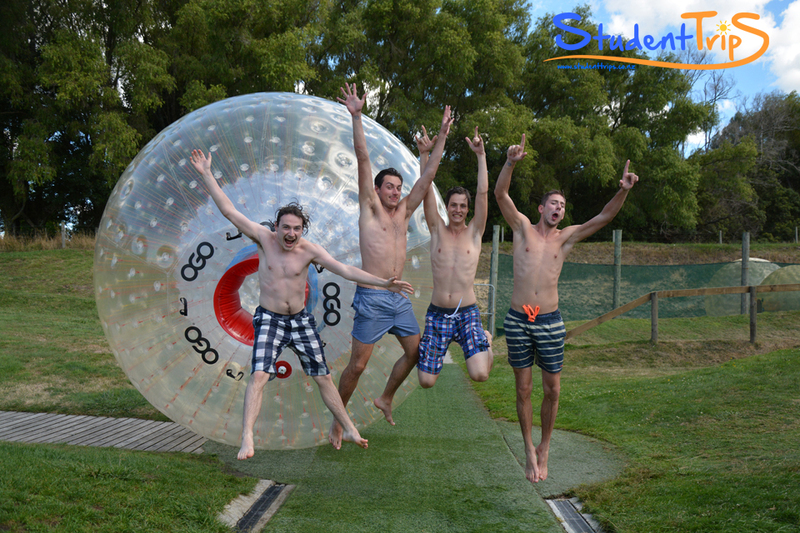 Dare to try the latest extreme optional activity ‘OGO’, whereby you roll downhill in a huge transparent ball.